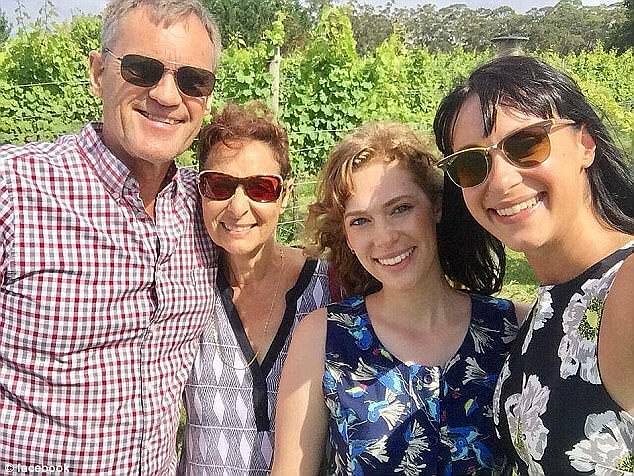 Home and Away actress Jessica Falkholt has tragically died more than three weeks after a horror car crash which claimed the lives of her parents and younger sister. The 28-year-old was pronounced dead on Wednesday, six days after her family made the heartbreaking decision to switch off her life support. Jessica had been in a critical condition in ICU at Sydney's St George Hospital since the Boxing Day crash on the New South Wales south coast. 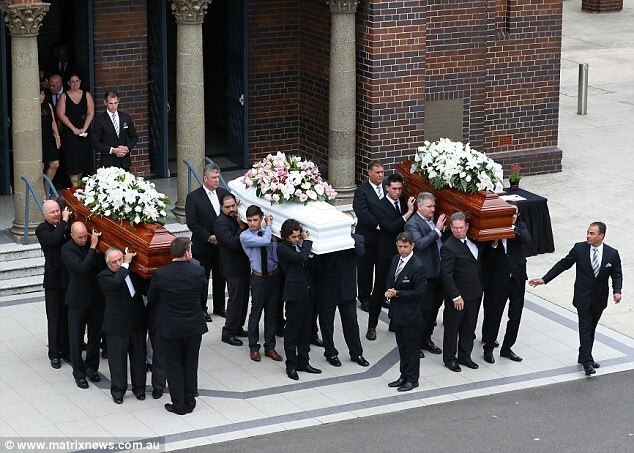 Devastated family members told Daily Mail Australia after Jessica's death that while it was a sad time, they were at peace knowing the actress is now 'back with her family'. 'We're all sad but she is with her family now. Her mum was her biggest supporter so I am sure she is in her arms,' the relative said. St George Hospital released a statement shortly before midday on Wednesday confirming the sad news. 'On behalf of the family of Jessica Falkholt, St George Hospital has been asked to advise the media and the community of Jessica's passing today at 10.20am,' the statement read. Tributes poured in for the actress following the announcement. 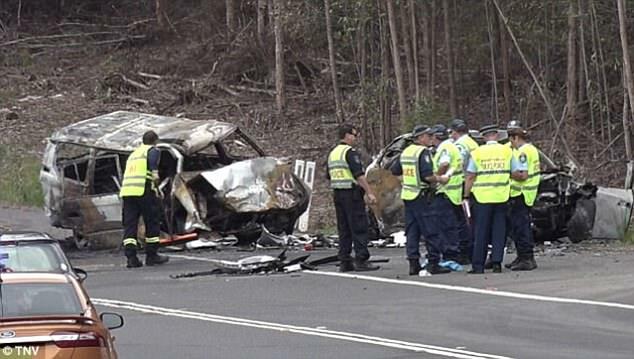 The actress was pulled from the wreckage with her sister Annabelle near Ulladulla, but her parents Lars, 69, and Vivian, 60, died at the scene. Annabelle, 21, died from her injuries three days after the head-on crash which has now claimed the lives of the family-of-four. Jessica's life support was turned off just 24 hours after her parents and sibling were farewelled during an emotional funeral service in Sydney's west. Jessica and Annabelle's uncle Paul Ponticello told mourners who flocked to St Mary's Catholic Church that Christmas would forever haunt their family. 'It is a day that will be difficult to erase from our memory,' he said. 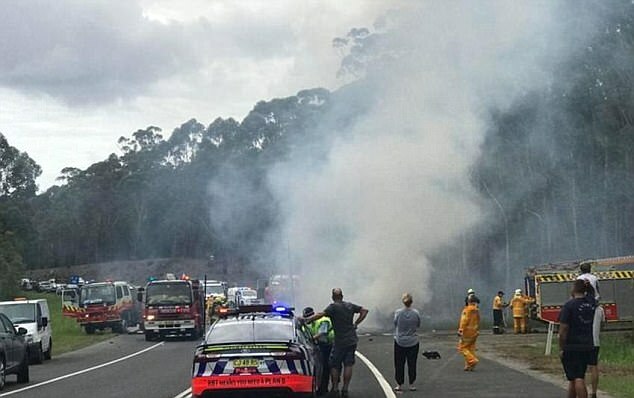 The driver of the 4WD that slammed into the family's car, 50-year-old habitual traffic offender Craig Whitall, was reportedly travelling home from a Nowra methadone clinic when he too was killed in the crash. 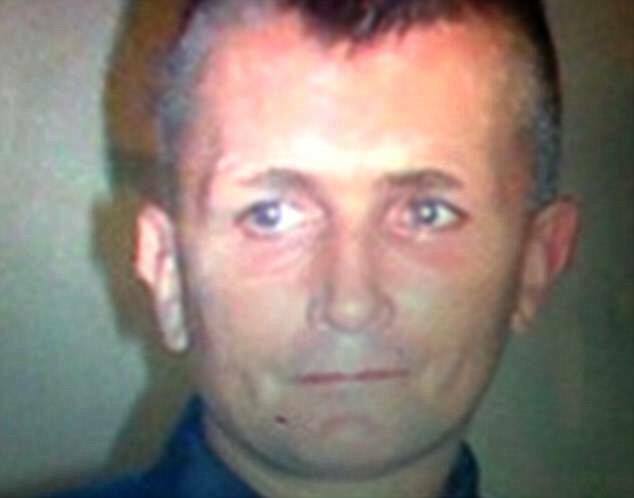 Whitall claimed a disability pension and used 28 aliases to avoid police. His 26-year-old son Shane appeared in court last week charged with dangerous and recklessly driving an uninsured Toyota Camry in Ulladulla in September. Four of Craig Whitall's convictions for driving without a licence came in the same month. Witnesses told police they saw Whitall's Prado swerving on the opposite side of the road moments before the crash. He was driving on P-plates at the time after getting his licence back a year earlier and had also been banned from driving from July 2004 to July 2013. Whitall was jailed for nine months for driving while disqualified in August 2004. The state government said there will be a thorough investigation into the circumstances of the collision. New South Wales Premier Gladys Berejiklian on Monday announced a raft of tough new measures in response to the tragedy, which has now claimed the lives of the family-of-four. The number of roadside drug tests will be doubled by 2020 and penalties for drug drivers will be increased and brought into line with high-range drink driving. Drug drivers could face two years in jail, $5500 fine and/or licence disqualification for up to five years. The measures will also look to reduce the risk posed by people taking prescription drugs and driving. The announcement came after the Falkholt family tragedy on Boxing Day. Craig Whitall, the driver of the 4WD that slammed into the family's car, was reportedly travelling home from methadone clinic when he too was killed in the crash. Jessica died at 10.20am on Wednesday at St George Hospital after her life support was switched off on January 11. Her parents Lars, 69, and Vivian, 60, died at the scene and her sister Annabelle, 21, died from her injuries after a three-day fight for life. Born in May 1988, Ms Falkholt and her sister were raised in Sydney by their Swedish father and Italian mother. After graduating from university with a Bachelor of Arts in Media and Communication, she found production jobs at the Seven Network' and Carnival Films and began building a portfolio of acting work thanks to TV commercials. In 2012, she won a place at the prestigious acting school NIDA, where she spent three years honing her craft. Shortly after being accepted at NIDA, Jessica had her first breaks on TV with roles in the Nine Network dramas Tricky Business and Underbelly: Badness. Following her graduation from acting school Summer Bay beckoned, with the young actress scoring a role as Hope Morrison for 16 episodes on Home and Away in 2016. Hope, who lived with Pia Miller's character policewoman Kat Chapman, caused quite a stir among the locals before making a dramatic exit by being taken off to prison. A co-starring role in the short film Green River: Part One followed in 2017, with the Australian actress playing Diana in the drama about 30 women who have gone missing from a small town in America in the mid 1980s. Then came her big screen break in the supernatural thriller Harmony, starring alongside fellow Aussie actors Jacqueline McKenzie and Eamon Farren. In the film, which is scheduled for release in 2018, she plays a woman named Harmony who has the power to absorb fear from other but is on a quest to find love. 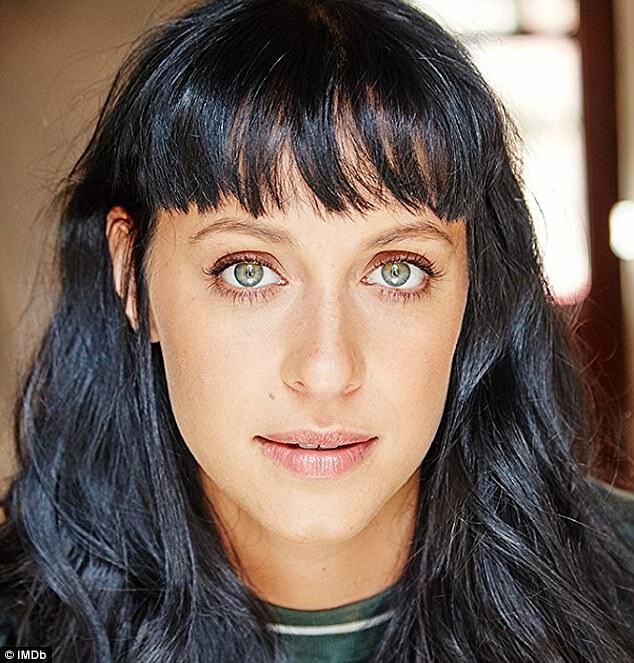 A Facebook page for the production posted on Wednesday: 'We are devastated about the passing of our brilliant lead actress Jessica Falkholt.